Fall is Almost Here: Ready, Set, Enrich! As you prepare for the big fall enrollment season, you need to set your center apart from the competitors. One way to do so is highlighting your school’s enrichment programs. Parent have come to expect — and appreciate — these additional features as part of your school’s offering. Having additional enrichment components incorporated into your curriculum can help students build skills and learn unique concepts at an early age — while having fun! 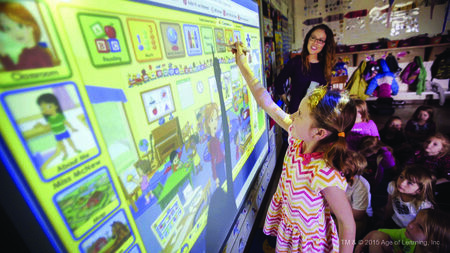 Technology: Classroom technologies like tablets, Smart Boards, and laptops can encourage engagement, active learning, creativity, and social interaction. Using technology-focused enrichment programs, such as ABCmouse for Schools let children use digital tools in a meaningful way. Music: Music can be integrated within the daily routine and play of children, helping them bond emotionally and intellectually with others through creative expression in song, rhythmic movement, and listening experiences. For example, Kindermusik offers enrichment programs designed specifically for early childhood learning centers. Health & Fitness: Early childhood is the ideal time for acquiring healthy habits. Incorporate add-on programs like yoga, cooking classes, soccer or swim classes, and dance to help children develop healthy eating and physical activity habits that will last a lifetime. The Arts: Enrichment programs like foreign languages or Chess at Three have become popular in the early childhood education setting. Each offer children the opportunity to learn valuable skills while playing and exploring creative outlets and take your school to the next level. Contact an Educational Advisor today to add ABCmouse for Schools as an enrichment program in your school.